Cooking with Children, Books on Food for Children, Meet other parents who cook with their kids, Food Education, Playing with Food, Kitchen playmates for little ones and Lunch Box Recipes. If you’d like to join the Food Revolution Movement (please do!!) then you can find a snapshot of it of what it is and my journey so far here. We’d love you to participate in our monthly challenges and share our past events with you too. I am a cookbook addict and if you are one too, then BIG hi to you!! 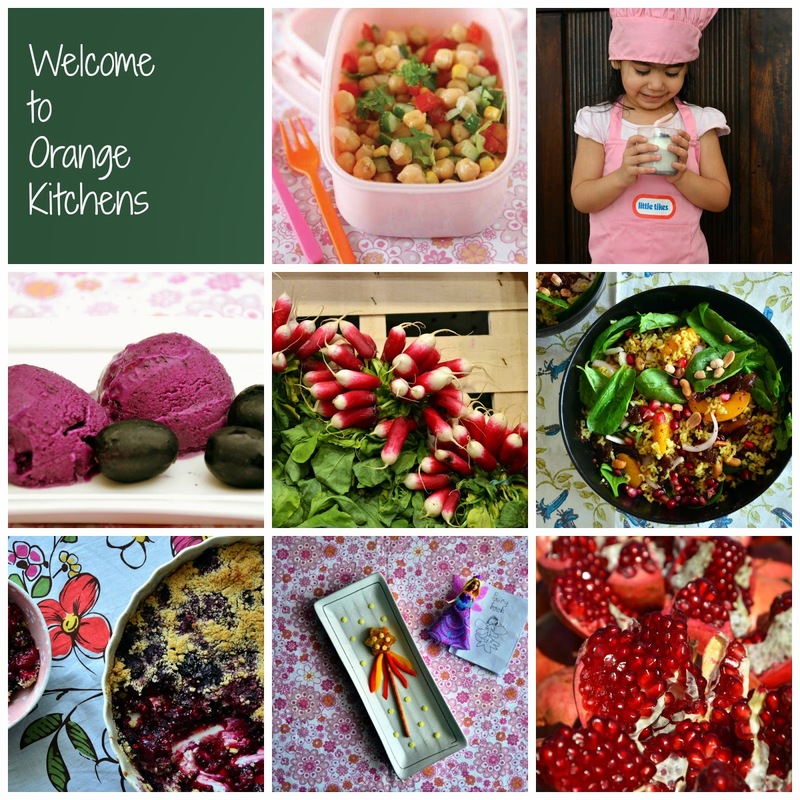 Read all about my cookbooks, food memoirs, the ones that I heart the most and would love you to have on your bookshelf as well and hey don’t forget to join the Orange Kitchens Cookbook Club where you will find many friends who share this same disorder! Don’t forget to share your favourites too. If you’d like to get to know my little chefling better, head here. If you’d like to know what the both of us are up to, find us on facebook, twitter and instagram or see our month in pictures. We’d love to connect with you.